La isla bonita – a tiny island north-east of Tenerife, Canary Islands. First some information in short, more details further down. Iberia will help you with air tickets, but note carefully that there are popular places like Las Palmas (Gran Canaria) and Palma (de Mallorca) if you book via a travel agency! The Isaac Newton Group of Telescopes (ING) – their own page with useful information. 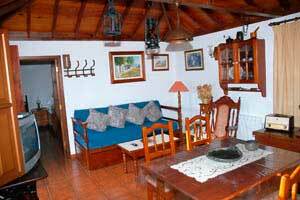 Rent a house – Turismo Rural‘s English speaking, and nice office. A vacation for the whole family! If you like a vacation in quiet surroundings, but with possibilities of new, unexpected events and encounters with birds, flowers and nice people – then this little island in the Canary Archipelago will suit you. Every age will find something nice! It is not so difficult to rent a house and book your own tickets with the help of a travel agency or by yourself and a computer! We have tried that several times now and this island is a gem! The climate, the people, and with a tourist’s word book you will get along fine, they do try to understand and help you. Some speak German but many youngsters know some English. Tell them where you come from – they’ll like that ¡Sí hombre! How? Call Iberia!! Or send a question by e-mail asking for help, and they will do that at once! If using a travel agency – do check carefully that they do not book you for a tour to Mallorca (Palma) or Gran Canaria (Las Palmas!)!!!! Some agencies have chartered tours to La Palma from Great Britain, Germany, Holland, Italy and Spain with apartments in Santa Cruz or in the tourist area near the town. The Germans like the western part of the island and there are a few hotels, too. Apartments are perhaps something for families with teenagers or for those who want to have vacation from cooking, too. The total costs are almost the same, whether you arrange the trip yourself or book it through an agency, but we think it is more fun to travel alone and go whenever you want to! Or share a house with friends. If you have the same interests as we have, keep a pair of binoculars and a flora within reach! Surprises almost everywhere! Where? 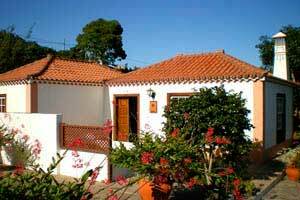 Rent a house at >Turismo rural, they speak English and will help you with the car rental, too. Costs are from € 300 per week, depending on how many beds there are. Often a washing machine and deck-chairs are available too! Very nice, choose such a house and the luggage will be easier to carry and pack, and the life on the terrace will be much more comfortable. The few sandy beaches have coffee-brown sand of lava. Some houses sport a pool, but the natural basins made by the sea are also fine. There are houses for rent all over the island. Breakfast on the terrace, pick your own fruit for the morning juice and watch the sun rise over Teide, the highest point on the neighbouring island Tenerife, that is very soothing. The choir of birds in the garden is a bonus. We recommend Mazo, situated near the airport and close to everything. There are many houses to rent in Mazo, with beds for 2 – 20 and a fantastic view from all of them. And the morning sunrise! When? April or May are the months with many flowers, but October – November can be fine too. June – September are probably nice too, we have not tried yet! Silk underwear and a plaid of fleece in your luggage is always good. The nights can be chilly (+15 C). Bring a jacket when you visit the Observatory at Roque de los Muchachos (at 2.400 meters). 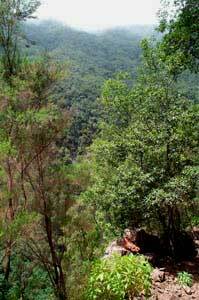 Bird watching is easily done from the kitchen sink, deck-chairs or on picnics to Los Tilos or in the mountains. Flowers you have never seen, bring a Flora for the Canary islands, many flowers are endemics. The friends of butterflies will have lots to look at, too. As we do not know what books you can find about flora and birds of the Canary Islands (sometimes a book about the Mediterranean’s will do) in your country, it is hard for us to recommend any. But in the El Molino’s shop in Mazo we have seen a very good assortment of maps and many books for anything in Nature in many languages, even a book of Mushrooms and Toadstools of La Palma! But we do not understand how you can hunt for edible mushrooms in the steep ravines of the island! Besides books they offer handicraft in cloth and clay from the island. The pottery is often open and you can watch the old fashioned way of making pots as the Guanches made them. Beautiful handicraft! The Isaac Newton Group of Telescopes (ING) – their own page and the Observatory. It is lovely up there, at Roque de los Muchachos (The Cliff of the Chums!) at 2.400 m above.sea level! The telescopes of the Observatory look like big white golf balls on the edge of the Caldera de Taburiente. Hiking is very popular up there but, please, check with the locals and the weather report first! La Palma’s earth and mountains are volcanic, the colours of the earth and cliffs above the tree level are fantastic! From light ochre to red vermilion, and silver, lavender, black in the hard rocks. The Nature’s own pleated Abusson carpet! Birds of prey and many others to watch. 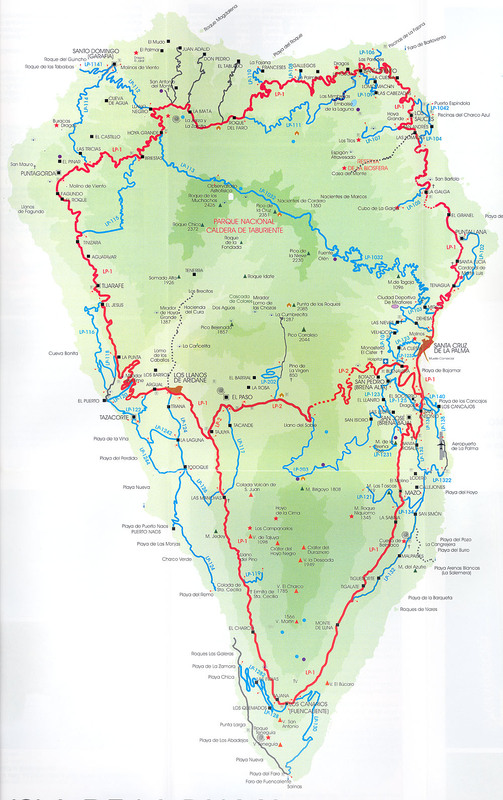 A big map ; click to enlarge! A good guide in advance! Perhaps you’ll find a map in your local book shop …??? Would this be something for you? Your host will pamper you and tell you about where to go, and were to eat and to explore parts of the island not mentioned in any book. The Tourist Board Office in Santa Cruz will give you lots of handy and beautiful guide books about handicraft, food, hiking, the towns etc., perhaps even in your language! No charge! You are welcome to read more about La Palma > > our latest trip (from our old homepage)!